Here at Blackheath Family Medical Centre we are committed to the health of our Aboriginal and Torres Strait Islander community. Our practice participates in the Closing the Gap Program to better the health of our local community. 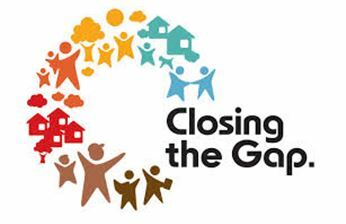 What is closing the gap? Closing the gap is a health program helping Aboriginal & Torres Strait Islanders to access better healthcare and cheaper medicines. This program combines better healthcare, cheaper medicines and healthcare coordination. What do I have to do to access this program? Access to the closing the gap program is as easy as seeing your GP! To have access to this program all you need to do is book an appointment to discuss it with your regular GP. If you don’t have a regular GP why not come in and see one of our GPs to get you on the right track. NB Proof of aboriginality certificate from elders may be required. If you suffer from a Chronic Disease or are at risk of developing one you can get your Medications cheaper or even free. * Some fees may still apply for the services. Referrals may only allow a Medicare rebate to be claimed. Is there anything that I will need to do? To be eligible for the program you will need to have a yearly health assessment with your regular GP. This assessment will take 45-60 minutes and consists of time spent with our practice nurse as well as your GP. You may also be required to have more regular appointments if you suffer from a Chronic Disease. Registration for access to cheaper medications needs to be done at the beginning of each year.